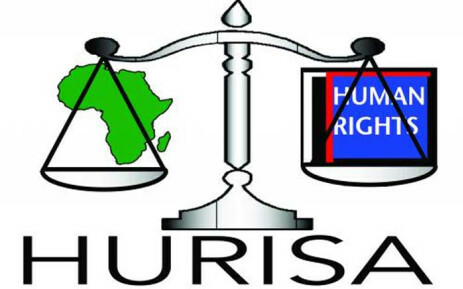 The 55th Ordinary Session of the African Commission on Human and Peoples’ Rights (the Commission) will be held at Talatona Convention Centre, Luanda, Angola, from 28th April to 12th May 2014. State delegates and other participants are kindly requested to bring their official credentials, duly signed by the appropriate authorities in their countries or their respective organizations, and hand them to the Commission’s Secretariat prior to registration. All participants are required to submit their 55th Session Pre-Registration Form by the deadline indicated therein, for inclusion on the provisional list of participants which would be transmitted to the Host authorities. This is critical with regards to the acquisition of visas. Upon arrival at the Session venue, participants are required to register and obtain identification badges in the main lobby area outside the Conference Hall, to enable them to participate in the Session. All participants are requested to wear their badges at all times during the Session, for identification and security reasons. All participants are required to travel to Luanda by air. Participants are required to get their entry visas from Diplomatic/Consular Missions of the Republic of Angola in their respective countries of residence. In this regard, participants are advised to confirm the existence and the location of these Missions with the Ministry of Foreign/External Affairs of their countries of residence. Participants must ensure that they have taken the necessary vaccinations and that they travel with their Vaccination Cards, as these are required before admission to the country. Participants are also kindly advised to obtain international health insurance to cover emergencies, in case they are taken ill during the period of the Session. Participants are advised to travel with appropriate clothing, as the temperature is expected to be between 170C and 200C. Most of the major convertible currencies and Travellers’ Cheques can be exchanged in Angola. The local currency is the Kwanza. Please note that, as usual, exchange rates fluctuate, and that they may vary in banks and exchange bureaus. International Automated Teller Machines (ATMs) are available in Angola; they accept most of the major ATM cards, and they are open 24 hours. Money can be changed at the airport and banks. Banking facilities will be available at the venue of the Conference to enable participants do their exchanges. Please note that you will be required to present your Passport/Identity documents, during exchange operations. Arrangements have also been made for pick-up from Airport to hotel for participants who provide timely information on their arrival dates. Arrangements have also been made to provide transport to and from the Session venue to those participants who stay in the recommended hotels (see list of hotels below). Arrangements have been made for participants to buy their lunch at the Session venue. The voltage in Angola is 220V – 240V AC, accessible with two pins normal plug. Primary Socket Type: Europlug, Schuko. Kindly note that no document will be circulated without the written authorization of the Secretary to the Commission. Participants are therefore advised to seek written authorization from the Executive Secretary for the distribution of their documents at the conference area. For bookings, please kindly contact the hotels listed above directly. While making their bookings, participants would need to indicate that they are participating at the Commission’s Session in order to benefit from the negotiated rate.